With these in mind, it is easy to see the church in the description of believers as family members. There is the heavenly Father, the Father’s children, fathers and young men, and brothers. 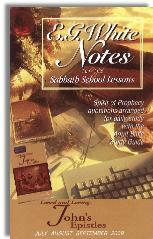 The author notes that these are intimate descriptions and show a deeply loving relationship between each other and God. And this is not just a figurative sort of family, but we are actually part of the family of God. Again, if one didn’t know any better this would all sound really good. This could be any other study in any other real Christian study booklet. But the Adventist church does not follow this loving, caring, inclusive church format. For starters, there is an immediate barrier between the true Christian church as portrayed in the New Testament and in 1 John and the Adventist church; the Law. More specifically the Ten Commandments. You can be a brother or a sister in the church family only if you believe in Jesus AND follow the Law. The author says that Jesus is the basis for truth and salvation, but you cannot be a member of the Adventist church without adhering to the fundamental beliefs of the Adventist doctrine, including the Sabbath day. The Adventist church also separates itself from the biblical Christian church with its belief that it is the remnant church, or the only true church in the end times before Christ returns. Kind of difficult to be a loving, intimate family if you separate yourselves from the rest of the Church family. The bible is clear on what it takes to join the wonderful and awesome family of God, and it does not involve the adherence to laws and regulations. It simply is founded on the belief and trust in Jesus as savior and lord, and you are in the family. 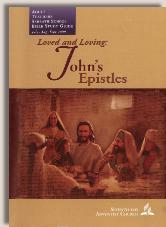 1 John does portray an intimate family of Christ followers that make up the church. To be a member of the Adventist church one must adhere to the regulations set up by the Adventist church, including the Ten Commandments. To be a member of God’s family one must simply believe and trust in Christ Jesus.